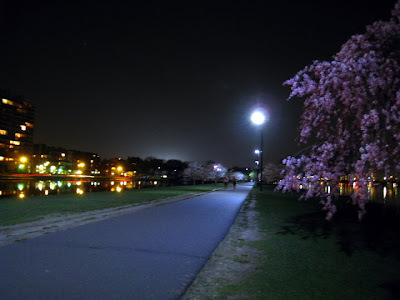 Second Round of Blossom picking at the Esplanade, Boston. Light source was a street lamp! Step 1: Wash the flowers carefully and remove the waxy (red) bits by the stems. Drain well and blot with a kitchen towel. Step 2: Scatter sea salt on top of your flowers. Shake, but do not mix or the petals could separate from the stems. Cover with clear kitchen wrap and place a heavy jar on top of the blooms to force liquid out while soaking them in a brine. (If you have a Japanese pickling press, all the better) Leave overnight or for 1 day. Step 3: Squeeze the flowers out of excess fluid and place in a jar or bowl. Add the plum vinegar and allow to gently ferment for 3 days. In this case, my error was in picking fully-open blooms. After the pickling and pressing, the petals fell out, exposing pistils and stamens. Bald (hage) flowers are not pretty. I ended up plucking the petals off, then rolling them into tiny boules before drying them. It is my vision that these boules of petals would unfurl into the steaming hot tea. We'll see if that happens. *Update: they did! Step 5: Place the blooms in a small jar and add sea salt for storage. Voila! 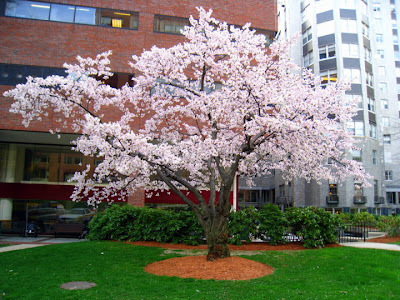 Your very own salt-cured Somei Yoshino Cherry blossoms! 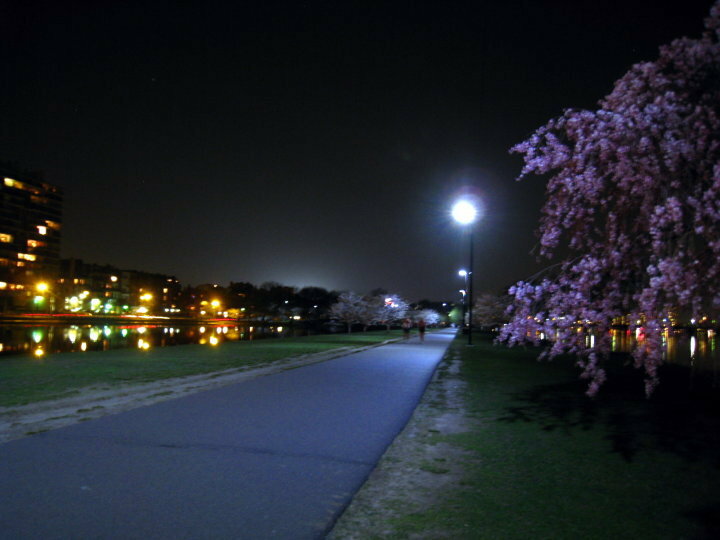 For more sakura varieties, K and I went night sakura-picking by the Esplanade at the Charles River after our wine and cheese party at work. 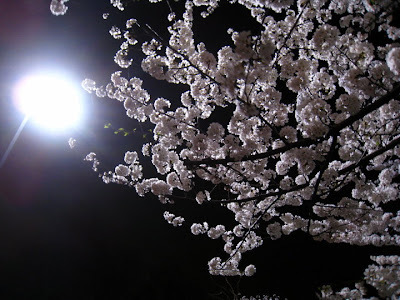 While lovers were whispering sweet-nothings to each other in the dark, the both of us took constant flash photography and suspiciously hovered around the sakura trees picking at the buds. :) I then tried this recipe with Shirotae Cherry and a darker pink species called Shidare-zakura (Weeping Cherry). Of the three, Shirotae was white, Somei Yoshino was pale pink, and Shidare was the darkest pink (and most similar to the recipe). However, in terms of aroma, Shirotae was most aromatic, followed by Somei Yoshino. Shidare smelt the least alluring of the 3 varieties I picked. Trade-off between color and aroma! Well at least I have 3 different flowers to mix and match. *Update: Once the curing process was complete, I plopped a couple off Shidare flowers into hot water and behold.. they did open up a little. I was a little disappointed that their pink color was leached into the tea and that the tea wasn't reminiscent of the sweet plum smell from the salting. In fact, it smells like cut grass, which really isn't very appetizing, taste-wise. Use hot green tea to mask the zing, perhaps? I will try them in onigiri (rice balls) and update later on their taste.